The 2019 SXSW Film Festival is almost upon us and we can’t wait to have you here! Before you make your way down to Austin, TX get to know films from our lineup a little bit better with our Filmmaker In Focus series. Dive into our Q&A with director Andrew Hevia, as he tells us about his film Leave the Bus Through the Broken Window, which will world premiere in the Visions screening section. Andrew Hevia: To me, Leave the Bus through the Broken Window is about a personal journey coming to terms with and processing change. AH: There are two answers to this question. The first is that this is a personal story that I created as a way to process what I was going through during an emotionally difficult time. I had just gotten out of a relationship that had gone completely sideways and I decided that I would not enter a new one until I had figured out how I could avoid repeating past mistakes. The act of crafting the film was how I came to understand myself. The second is that I was committed to making a documentary that was the inverse of every project I had ever made before. 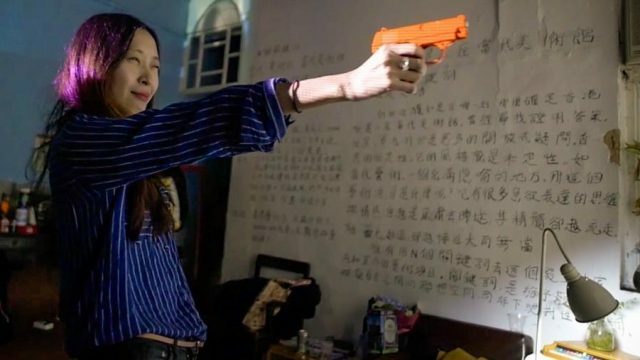 I had limited resources when I started the project and resolved to work within those limits to discover an unconventional approach to the film. The challenge inspired me to keep going and keep digging – both eternally and, more crucially, internally. AH: I’d love for the audience to connect with the central character and empathize with that journey. Also, that Hong Kong is a beautiful, complicated city with a thriving community of artists. How did you find your subject?? AH: I am the primary subject of the film, so that was the easy part! AH: The first feature film I ever edited, a movie called No Matter What, premiered at SXSW nearly a decade ago. Since then, I’ve had a number of great experiences at the festival, mostly as a producer on other projects. For my directorial debut, there was no other festival in my mind that could support me as a filmmaker like SXSW. SX has been an essential part of my filmmaker journey and world premiering in Austin is a dream come true and a great full circle moment. Add Leave the Bus Through the Broken Window to your SXSW Schedule. Stay tuned in the coming weeks as we share more interviews with our SXSW 2019 filmmakers! The post Director Andrew Hevia Talks About His Documentary Leave the Bus Through the Broken Window – SXSW Filmmaker In Focus appeared first on SXSW. 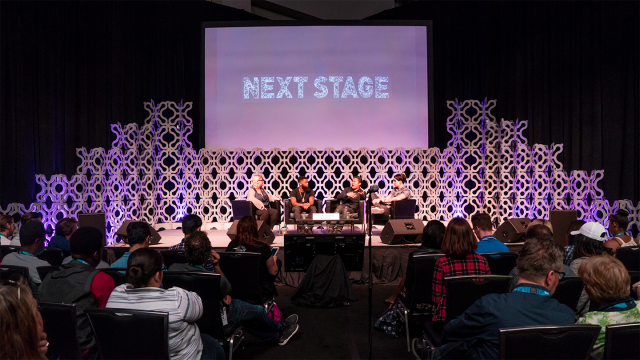 With the SXSW Trade Show just around the corner, we’re excited to announce the first Next Stage programming highlights for 2019! Next Stage Presented by Playbook takes place within the Trade Show in the Austin Convention Center, Exhibit Hall 4. Drawing inspiration from the creative industries, Next Stage features presentations and performances that span the overall themes of Interactive, Film, and Music. 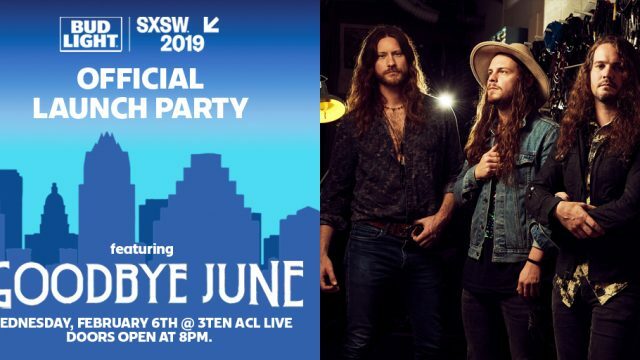 These sessions showcase the inventive, emerging talent participating at SXSW, including cross-industry panels with diverse speakers and intimate showcases from official SXSW Showcasing Artists. You cannot sustain a career in music if you are not healthy. If you want to have a long and fruitful career in this world of temptation and excess, you need partners to help you stay focused during the days when you cannot afford a personal trainer, nutritionist, or wellness coach. We will dive into the reasons why Playbook places an important emphasis on the development and growth of artists from both a mental and lifestyle perspective, and the program we have developed for our artists, agents and managers to face and overcome these challenges. In discussing lifestyle, one important aspect we will address is stress — along with the benefits of uncomplicating and de-stressing your business life, and how these goals can be achieved. This year The Music Fund launches, using data science to forge a new market allowing investors to support musicians in the long tail. We’ll discuss what we’ve learned about starting an artist-friendly business, launching an investment fund, pricing royalties using data, and meeting the needs of the developing musician in an artist-first, scalable way. Topics will include findings from the data, legal and operational issues with collecting and dividing royalties, and our experience as part of the Techstars Music startup accelerator. Matthew Morgan — serial entrepreneur and leader in cannabis — talks to us about the state of cannabis in 2019. Matt will discuss keys to being successful in the marijuana space, pitfalls to avoid, and how to build a cannabis company from zero to $100 million in revenue in 3.5 years. Matt will share some insider tips and the story of how he went from a farm boy raised in Montana to one the leading cannabis entrepreneurs in the world! Check out the full Next Stage programming schedule. Be on the lookout for updates to the Next Stage programming in the coming weeks! The post Next Stage Programming Highlights – Cannabis and Music appeared first on SXSW. Kulik Oleg is a graphic designer and a UI/UX designer based from Kharkiv, Ukraine. We are sharing his web design concept for the United States history. It’s an interesting approach especially with his colours, bright orange! Do you think it does compliment the images well? I do love his choice of typography and the text layouts are intuitive plus easy to read. One particular thing that I do like a lot is how it is presented. Because of the projects we see all the time on ABDZ, I have rarely have seen this approach and it’s quite good. The 2019 SXSW Film Festival is almost upon us and we can’t wait to have you here! Before you make your way down to Austin, TX get to know films from our lineup a little bit better with our Filmmaker In Focus series. 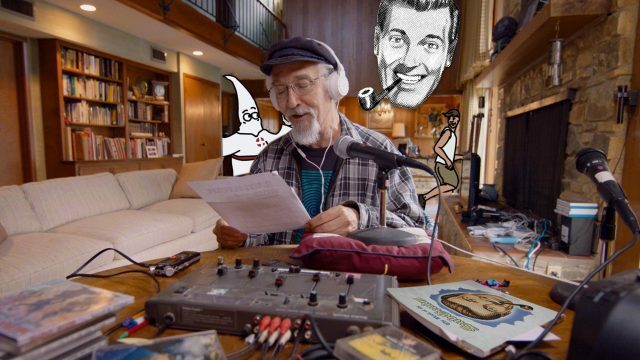 Dive into our Q&A with director Sandy K Boone, as she tells us about her film J.R. “Bob” Dobbs and The Church of the SubGenius, which will world premiere in the Visions screening section. Sandy K Boone: This film is a homage to my late husband, David Boone, aka “Roperto Dela Rosa”, and his film style; a venue for the founders of the Church, Doug Smith, aka “Ivan Stang”, and Steve Wilcox, aka “Philo Drummond”, to tell the true and unabridged story of the Church of the SubGenius for the first time, so after their passing — or as Doug Smith would say, “boarding the pleasure saucers” — the world would not turn the tongue-in-cheek con job and joke of the Church of the SubGenius into a real cult or possible Scientology, and finally, a humorous but effective mode, to speak out, in the age of Trump, about the fake news and cult practices being used in our politics and government today. SKB: In all honesty, my original motivation was to stop crying, take action, and find a path to speak out about the absurdity of our current political situation, which in reality was far more absurd than the Church of the SubGenius was or ever had been! After reuniting with Doug and Steve, reminiscing over the past and finding out that a documentary of the church had never been completed, I received “Bob”‘s blessing and with my team turned our hopes and dreams into reality! SKB: I am hoping the audience will have not one but many “aah and haa” moments. Our world and government are using “cult tactics” to separate and divide us with fear. Let’s find some creative ways to make civility, truth, thoughtfulness, and empathy popular again! SKB: I was with my grown daughters and grandchildren, playing dominoes and laughing. Do you have a past experience at SXSW that impacted your decision to come back? SKB: This is my directorial debut. I have executive produced and produced several films submitted and accepted at SX. Add J.R. “Bob” Dobbs and The Church of the SubGenius to your SXSW Schedule. Stay tuned in the coming weeks as we share more interviews with our SXSW 2019 filmmakers! The post Sandy K Boone Talks About Her Film J.R. “Bob” Dobbs and The Church of the SubGenius – SXSW Filmmaker In Focus appeared first on SXSW. We are proud to announce a lineup of seven curated installations that make up the third annual SXSW Art Program. 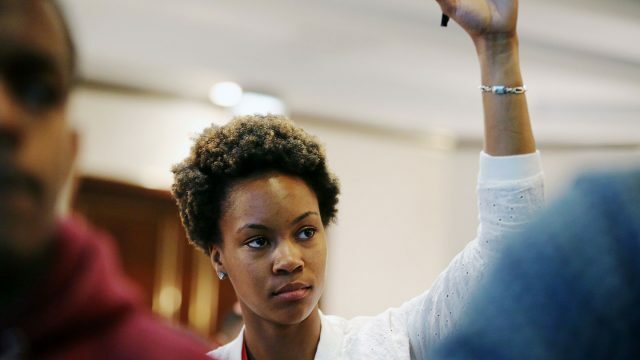 Selections for SXSW 2019 were made in collaboration with the SXSW Art Program Advisory Board including Andrea Mellard of the Contemporary Austin, Suhair Khan of Google Arts & Culture, Kim Cook of Burning Man, and more. The 2019 SXSW Art Program includes: Blooming by Lisa Park; Belongings by John-Paul Marin, Matt Smith, Patrick Abboud, Tea Uglow, and Kirstin Sillitoe; EVERY THING EVERY TIME by Naho Matsuda produced by FutureEverything; hash2ash and APPARATUM by panGenerator, Krzysztof Cybulski, Krzysztof Goliński, and Jakub Koźniewski; Semeion by Circuit Circus; and Arctic Passage by Louie Palu. 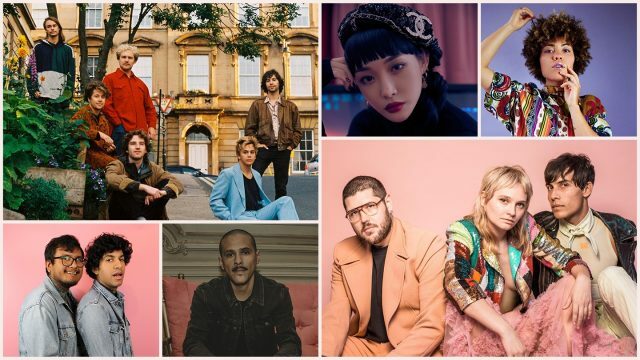 This lineup of artists joins events across the entirety of SXSW that showcase innovation, diversity, and creativity in visual and media arts including The Contemporary Austin, Facebook Art Department, UNESCO New Media Arts Exhibition, and more. 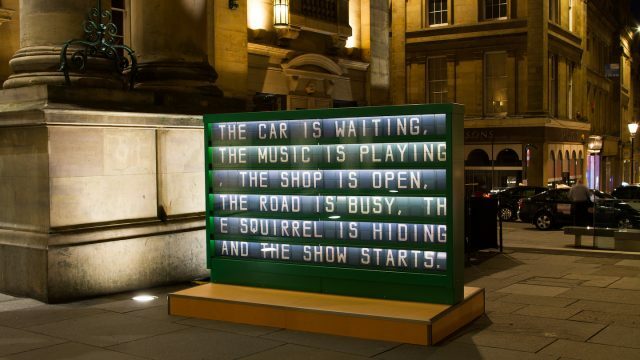 The post 2019 SXSW Art Program Installations Announced appeared first on SXSW. Doubling down on its emphasis on curved displays, Samsung recently filed a design patent for a new virtual reality headset that could feature a curved OLED display, which would be an interesting development in VR. The post Samsung files a VR patent featuring a curved OLED display appeared first on Digital Trends.